Sixth-graders learn about species interactions in ecosystems by investigating data from real-world examples of invasive species. Seventh-graders explore properties, chemical reactions, and the conservation of mass by making their own soap materials they have investigated across multiple lessons. Eighth-graders race, jump, and crawl in the classroom to measure properties of motion and create graphs based on physics equations. Eighth-graders use a computer program to investigate a drop in the Galapagos Islands’ finch population. By referencing real-world science with which students are familiar or have personal experience, science learning has value to diverse students who can apply what they are learning to their everyday lives. Our learning-by-doing pedagogical approach — paired with the expertise of our Chief Learning Officer Dr. LeeAnn Sutherland, Michigan State Professor Joe Krajcik, Northwestern University Professor Brian Reiser, and Weizmann Institute Senior Scientist David Fortus — engages students as active learners and makes science come alive in ways that research has shown best support the broad range of learners found in every classroom. In order to contextualize core ideas about the nature of matter, this unit focuses on the everyday life experience of smelling odors whether close to or far from one’s nose. As students investigate this and other phenomena, they develop models of how people smell odors, and use their models to explain and predict what happens in various scenarios. Rather than simply accepting a particle model (that matter is comprised of molecules, which are comprised of atoms), students come to understand this core science idea over time as the only way to explain that air can be compressed, expanded, added to and subtracted from a container. Students then use the particle model to explain why substances have different properties, and to explain the behavior of particles in each state of matter and at a substance’s melting and boiling points during phase change, including the relationship between the movement of molecules and temperature. Students’ model of matter, which is represented both as a drawing and a written explanation, represents a conceptual understanding that “all matter is made of particles in constant motion,” a concept revisited in future IQWST units in physics, chemistry, life science, and Earth science and central to all future science learning. *Student Edition is Now Available in Spanish. The unit builds understanding of core science ideas including the particle nature of matter, energy, and substances and their properties. In order to contextualize chemistry concepts in real-world experiences, the unit focuses on making new substances, specifically making soap from two unlikely substances: fat and sodium hydroxide. Students complete a number of investigations of soap and fat as they further their understanding of substances and properties, and explain what happens when substances interact (i.e., chemical reactions). In that process, they also explore the core idea of the conservation of mass and the crosscutting concept of systems. Each cycle of investigation begins with macroscopic phenomena and includes the use of molecular models to help explain the phenomena. Chemistry 3: How Does Food Provide My Body with Energy? This cross-disciplinary units targets core ideas about food, photosynthesis and cellular respiration in the context of living systems. The unit builds core ideas, crosscutting concepts, and scientific practices addressed in other IQWST units, providing an opportunity to synthesize and to deepen understandings. Students address chemical reactions and the energy transformations associated with them, and address their relevance in their own lives and to their own bodies. Students investigate food at the molecular level and explore how cellular respiration, as a chemical reaction, allows organisms to use the energy in food. They also examine photosynthesis as the chemical reaction in which plants transform light energy into chemical energy to store in food. This unit thus builds understanding of a key crosscutting concept—the flow of matter and energy—as students consider what happens in a system during cellular respiration and photosynthesis. To contextualize core ideas about the water and rock cycles at the middle school level, this unit focuses on selected national parks in the United States and the study of features common and unique to each. In groups, students take on the task of collaborating to develop a visitors’ guide that explains how water has shaped the landscape of a single park. To complete this task, students must understand how water moves through the park, what types of rock are present, and how the water and rock have interacted to shape the land. Students learn where water can be found on, above, and below the Earth’s surface. They learn how water moves and is transformed in the water cycle by investigating evaporation, precipitation, infiltration, and flow. Students also explore how rocks are formed and the properties of different types of rock. Finally, they examine the effects of water on the land by investigating weathering, erosion and deposition. To do so, students engage in relevant scientific practices, address crosscutting concepts, and build understanding of energy and the particle nature of matter as both apply in the study of Earth science. In this unit, students learn about climate by investigating daily, seasonal and annual weather patterns. The unit is organized around students analyzing and interpreting data on either conditions in various cities around the world. Students develop an understanding of the concepts of climate, weather, pattern, and predictability. They also learn how energy from the sun and the variation in earth surface features create the convection cells in the atmosphere that determine large-scale patterns of temperature, clouds, wind, and precipitation. 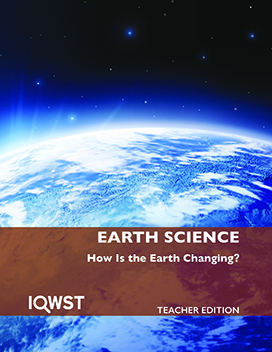 Earth Science 3: How Is the Earth Changing? In this unit, students investigate plate tectonics by investigating how the Earth has changed in the past and continues to change today. The unit begins with a historical perspective as students learn how the theory of plate tectonics was developed through the social processes of evidence gathering and explanation in the scientific community. Students then explore the modern explanation for why plates move on Earth’s surface by applying their understanding of convection, built on previous study of convection in the atmosphere, to the Earth’s mantle. They investigate how these internal earth processes drive plate motion and how that motion leads to events such as earthquakes and eruptions, and shape major surface features on Earth, including volcanoes, mountain ranges, islands, and oceanic trenches. They use this conceptual understanding to explain features and events found in selected case-study sites around the world. This ecosystem unit focuses on organisms’ needs for survival and what happens when those needs are not met. Throughout the unit, students investigate a specific population change: the decrease in the trout population in the Great Lakes from 1930 to 1990. Because the sea lamprey, as an invasive species in the Great Lakes, is such a fascinating organism, this particular case of population change engages students in learning core science ideas that they can then apply to changes in their local environments or elsewhere. Over the course of their investigation, students learn why food is important, what structures different organisms have in order to eat and reproduce, what the possible relationships are between organisms (e.g. competition, predator/prey, producer/consumer) and what abiotic factors affect ecosystems. All of these pieces help students to invest in developing an evidence-based scientific explanation and engaging in argumentation about why the trout population decreased so dramatically, employing a key scientific practice as they learn core science ideas. In this unit students investigate how the human body manages to do the complex activities of everyday life. Students investigate organization in body systems and the role of the body’s cells in these systems. To examine the levels of organization in body systems, students track what happens to food as it goes through the digestive system, to the circulatory system, to be delivered all over the body. The investigation of where food needs to go and where it is processed to release and use energy leads to identifying cells as the location where the major functions of processing food for energy and releasing waste occur. Students build on their understanding of food providing energy and building materials from 6th grade biology and on the role of energy in chemical reactions from 7th grade chemistry, and identify energy-releasing chemical reactions as occurring within cells to release the energy from food. Students investigate the link of increased oxygen intake with increased activity and obtain evidence that oxygen is also used at the cellular level in these reactions. The unit concludes with an investigation of how body systems are coordinated and consequences of disruption to various body systems. 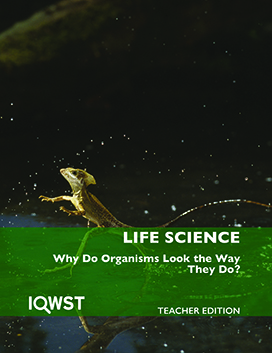 Life Science 3: Why Do Organisms Look The Way They Do? This unit uses investigations of organisms (including people) to raise questions about how similarities and differences between individuals and populations are influenced by inheritance of traits. Students investigate inheritance in plants they grow in class, and investigate pedigrees that document inheritance of human traits, developing a Mendelian model of inheritance to account for the patterns they uncover. Students use this model to explain the source of variation within a population, and why organisms of the same species exhibit many common characteristics. Students examine how changing environmental conditions can influence variation in a population. Through investigations of several data-rich scenarios of population change, students develop a model of how changing environmental conditions can lead to organisms with some variations of traits being more likely to survive and produce offspring, resulting in shifted distributions of those traits in future generations. Students generalize their explanations to develop a model of natural selection as defined by naturally occurring variation in inherited traits, changing environmental conditions and differential survival, addressing most notably the crosscutting concepts of patterns, and of stability and change in systems. The unit begins with a contextualizing activity in which students view optical illusions that make them uncertain of what they are seeing. They spend the next several weeks investigating light waves and their interaction with matter. To do so, students engage in several scientific practices, with an emphasis on constructing and using models to explain and predict phenomena. Each new investigation causes students to realize that the model they developed to fit one situation does not fit the new one, requiring revision based on new evidence. This practice enables students to engage in modeling in ways similar to those in which scientists develop, use, and revise models they use to explain and predict real-world phenomena. Students continually delve into core science ideas, gaining a deeper understanding of how light moves through space, what happens when it meets matter, how eyes detect light, how colors of light can be perceived, and that some light is non-visible. A conceptual understanding that “light can make things happen” sets the stage for understanding energy, a crosscutting concept revisited in future IQWST units in physics, chemistry, life science, and Earth science and central to all future science learning. Students begin this unit by watching a video of a large Rube Goldberg machine in action, and then explore several apparatuses up close, some of which stop quickly and others continue moving without showing signs of stopping. As students explore the apparatuses and different types of energy, they gain a deeper understanding of how energy is involved in everything in the world, how it can be transformed from one type to another, and how it is transferred between systems, addressing several core ideas and crosscutting concepts. 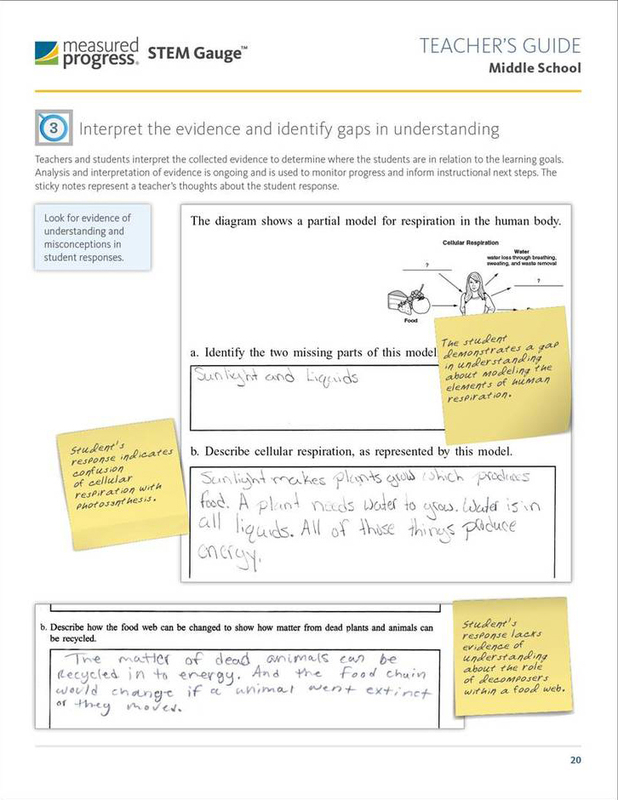 Students use two types of qualitative diagrams as models, engaging in the scientific practice of modeling to represent and explain energy conversions and energy transfer between systems. Physical Science 3: How Will It Move? 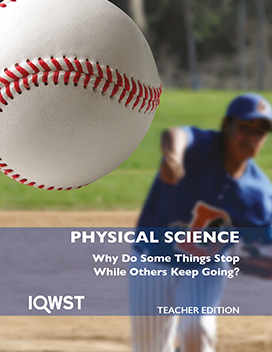 This unit focuses on forces and motion in a variety of contexts: tug-of-war, baseball, planetary motion, chemical bonds, and others. It begins with a surprising anchoring activity in which a ball speeds up unexpectedly, and revisits this phenomenon several times throughout the unit. Students generalize from specific examples to construct principles commonly known as the core ideas of Newton’s laws of motion. The differences between force and energy are emphasized, with rules-of-thumb being generated to decide which concept is more useful in given situations, and to address crosscutting concepts of system models, and energy and matter. The unit integrates several focal scientific practices: planning and carrying out investigations; data gathering, organization, and analysis; developing and using models; and constructing explanations and engaging in argument from evidence. IQWST® (Investigating & Questioning Our World Through Science & Technology) was developed through grant funding from the National Science Foundation (NSF). The development team has combined expertise in science education, literacy education, and the learning sciences. The team was led by Principal Investigators Joe Krajcik, Ph.D., Brian Reiser, Ph.D., LeeAnn Sutherland, Ph.D., and David Fortus, Ph.D.
Joe Krajcik has focused on working with science teachers to reform science teaching practices ( 3-Dimensional Learning) to promote students’ learning of science. He was head of the The Next Generation Science Standards (NGSS) Physical Science Design team and led the Physical Science Design team for the Framework for K – 12 Science Education. Brian J. Reiser worked with the National Research Council committee to develop the Framework for K-12 Science Education, which guided the design of The Next Generation Science Standards (NGSS). LeeAnn Adams is the Chief Academic Officer for Activate Learning. In addition to her ongoing work to guide the development of the IQWST curriculum, she plays an active role in conducting professional development related to literacy learning in the context of science education. Learn more about LeeAnn. David Fortus began his career as a science education researcher by developing learning environments that foster the transfer of scientific knowledge to real-world situations. Before joining the Weizmann Institute of Science, he was an assistant professor at Michigan State University, a high school physics teacher, and a project director in the aerospace industry. *This material is based upon work supported by the National Science Foundation under Award No. DRL 0439352 and ESI 0101780. Any opinions, findings, and conclusions or recommendations expressed in this material are those of the author(s) and do not necessarily reflect the views of the National Science Foundation. What would you tell a colleague about IQWST? 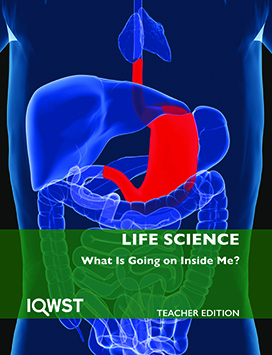 Do your students enjoy the investigations in IQWST? How do you like the teacher guides? 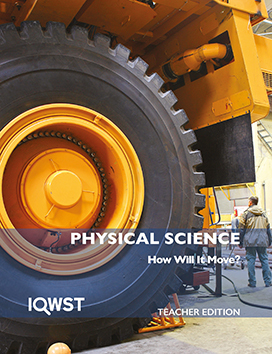 Best described as an “Interactive Science Curriculum & Notebook," IQWST® Interactive Digital Edition (IDE) is the first truly interactive middle school science curriculum for tablets and laptops. 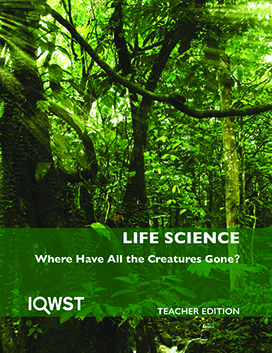 This new edition of the IQWST science curriculum expands the ways in which students are able to engage with science as it incorporates audio, video, graphic simulations, and writing and drawing tools into the already powerful IQWST curriculum. 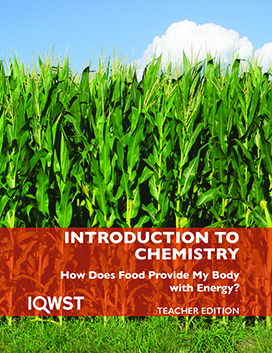 Distinguished from a typical e-book not only by these features, but also by the captivating manner in which students are asked to engage with both the readings and activities through written prompts, the IQWST Interactive Digital Edition supports reading comprehension and retention, writing skills, and science content learning for a wide range of learners. 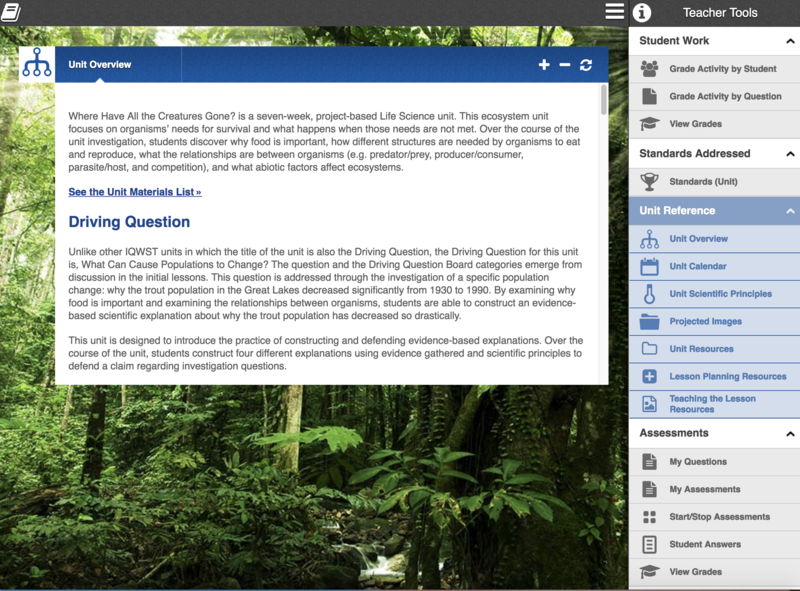 Students’ written responses and models are stored for revisiting and revising, as well as for electronic submission to their teachers, so their progress toward learning goals can being frequently monitored. 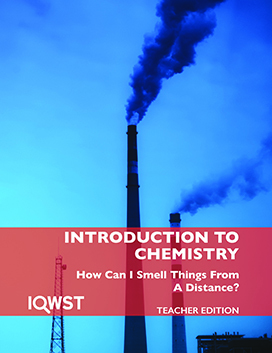 IQWST at its core is an investigation-centered curriculum, and the Interactive Digital Edition remains true to this approach. Students utilize their devices while investigating phenomena. The Interactive Digital Edition text provides investigation procedures, ways to collect and organize data, and prompts to support students in analyzing data and using their data to construct explanations as they go. Students can respond to questions textually or by making digital drawings, or they can take pictures or capture video in each lesson. Digital probeware further enhances students' ability to collect and share data as scientists might. Preparing for lessons is oftentimes an intensive and lengthy experience frequently involving several sets of reference materials. And, as teachers know, there is usually a tremendous and sometimes overwhelming amount of resources and information available to help them prepare. IQWST is no exception. So, how best to access this information? In a book-like format? We think there is a better way. The Interactive Digital Edition takes a more intelligent layered approach to the organization of the various teacher resources available. Rather than the linear construct forced by the confines of a printed book, the Interactive Digital Edition provides the teacher resources at your fingertips within the context of the main content, as a unified and simple-to-use single tool. 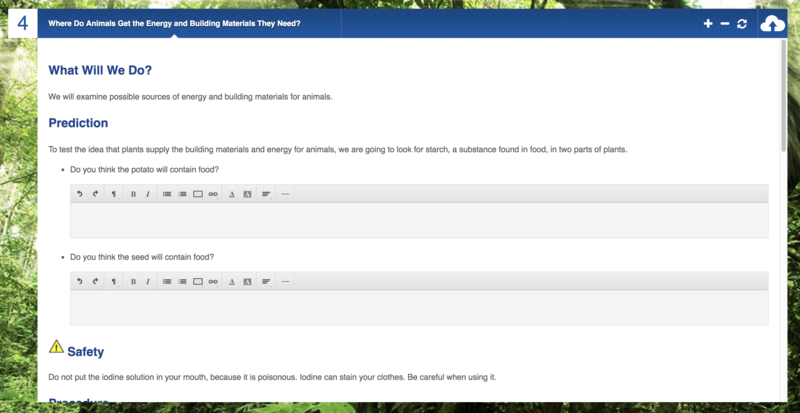 As students progress through each lesson, their written responses are sent to the teacher electronically. Teachers receive real-time formative assessment information, enabling them to monitor progress and modify instruction at the individual, small-group, or whole-class level. Teachers can easily track progress towards meeting NGSS and the Common Core as the system displays which standards are being addressed in each lesson. Our pending “Standards Engine” technology plans to go further, aligning to state standards, as well as providing sophisticated querying tools for more intensive standards-based efforts. In addition to descriptive material, many lessons include video that demonstrates the procedure for setting up investigation equipment or materials. Quality professional development is crucial for the success of IQWST® because the program invites teachers to rethink previous practices, construct new expectations for student outcomes, and teach in ways they may not have taught before as classroom discourse and pushing student thinking take center stage. Heather Milo is a former middle school science teacher with nearly 10 years of experience in both formal and informal science education spaces. She has worked in public and private middle school classrooms, serviced urban and rural school communities, and taught advanced science classes at Johns Hopkins University’s Center for Talented Youth summer program. Heather earned her Master of Science in Science Curriculum and Instruction from the University of Wisconsin – Madison, during which she mentored preservice teachers and researched practicing teachers in IQWST classrooms. Her research on teacher learning, and authentic and meaningful science pedagogy continues to drive her work at Activate Learning as the Professional Development Manager and Curriculum and Instruction Specialist. For 44 years, Chris taught high school and middle school science, and in June 2016, retired after 30 years at Greenhills School in Ann Arbor, MI. Upon her retirement, the Greenhills Renewable Energy Display was formally renamed the Gleason Renewable Energy Display, “in appreciation for the countless hours Chris and Jim Gleason dedicated to its development to promote sustainability….” Throughout her career, Chris has been a frequent presenter and workshop leader at NSTA and other conferences, including as an invited participant in the International Energy Summit in Boston (2013) and as a participant selected for the Japan Teacher Exchange Program: Education for Sustainable Development (2010). 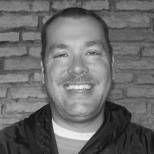 Chris has also received several awards including a “Teacher of the Year award for Math/Science” from the University of Michigan chapter of Sigma Xi (2010), co-recipient of a Greenhills School “Teacher of the Year” award (2002), and a Vernier Technology Award (2014). Chris was one of the original pilot teachers during the development of IQWST, and is excited to share her passion for IQWST as part of the Activate Learning team! Wendy Johnson has twenty-two years of experience teaching science to 6-9 grade students, focusing much of her time with 7th graders. Although she spent most of her time in science she started her career teaching student with behavioral disorders and learning disabilities and has taught math, social studies, and English Language Arts. For most of her career Wendy served as the science department chair and 7th grade team leader. She also lead the middle school science monthly professional development for her school district and has been nominated by her district for the Science Teacher of the Year for the state of Wisconsin on two occasions. Wendy enjoys working and collaborating with other teachers – both new and experienced – as she served as a district mentor and cooperating teacher. 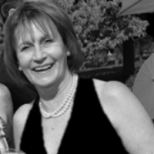 Wendy holds a MS in Educational Leadership and Curriculum and a MS in Teaching Geoscience. 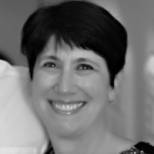 Karin Klein has been a middle school educator for 10 years, teaching in a private school outside Chicago. Prior to embarking on her career as a middle school teacher, Karin was on the research faculty in Northwestern University's Department of Preventive Medicine (starting 1995), and worked as a Senior Scientist and Project Manager at a successful biotech start-up company (starting 2001). Karin has been using the IQWST curriculum in her classroom since 2009. 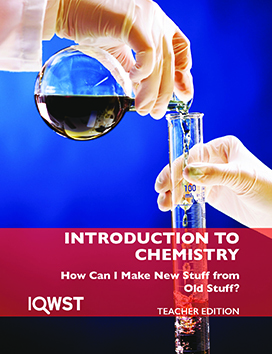 As a career scientist and as an educator, she is delighted to be able to help bring the IQWST teaching and learning model into more classrooms. 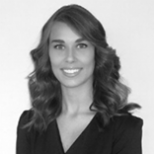 In addition to her teaching degree, Karin holds a PhD in Microbiology/Immunology from Northwestern University. 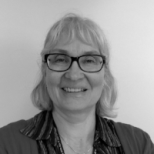 Dr. Karen Mesmer has a PhD in Curriculum and Instruction-Science Education from the University of Wisconsin-Madison and has 33 years of classroom experience. She has also been a science coach, working with implementing the Next Generation Science Standards in grades K-12 in the Baraboo School District in Wisconsin. As a National Science Teachers Association NGSS curator who evaluates resources, she has gained insight into the NGSS. 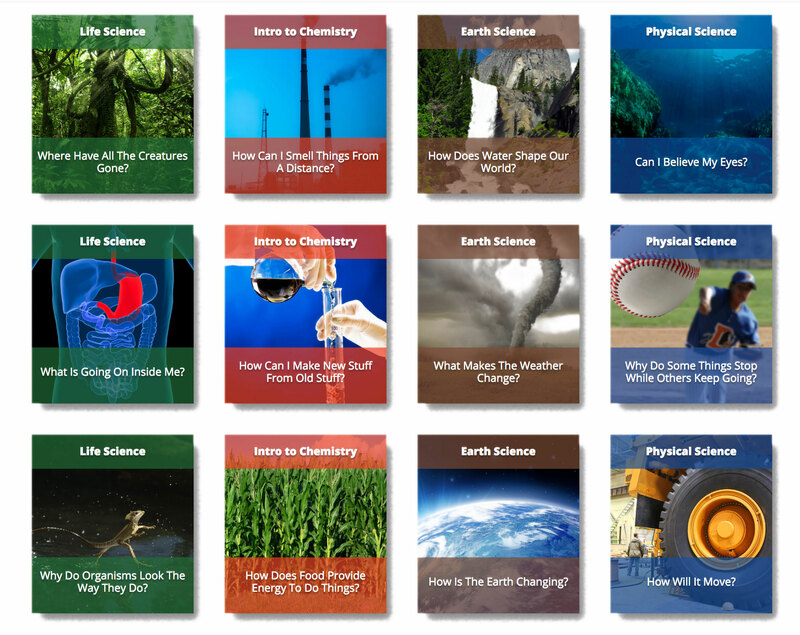 She is the author of many articles for science teacher magazines, two book chapters and has presented at over 20 state and national science teacher conventions. Her awards include the Presidential Award for Excellence in Science Education, the Distinguished Alumni Award from the University of Wisconsin-Madison, a Kohl Fellowship and the Ohaus award for innovation in science education. 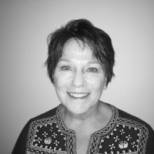 Marilyn Schmidt is an award-winning instructor with over 30 years of teaching experience in grades 6-12. She is Past President of the Colorado Biology Teachers Association, a recipient of Colorado’s Outstanding Biology Teacher Award, and recently received a Lifetime Achievement Award from the Colorado Biology Teachers Association. Marilyn focuses on helping teachers to develop their students into learners who gather and analyze data,think critically, and build understanding. 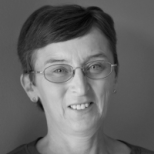 In addition to facilitating PD with teachers implementing IQWST and Active Science, Marilyn leads inquiry-based workshops and presentations at national and local conferences, including NSTA and NABT. Diane Wright has been an educator for over 40 years. She has Bachelor and Master of Arts degrees in Education, and began her career teaching learning disabled and emotionally impaired middle school students. She then transitioned into teaching elementary and then middle school students in language arts and science. She was active in her school’s school improvement team, was a professional development facilitator in her districts, and was trained in cognitive coaching. In 2010, she was named district Teacher of the Year. 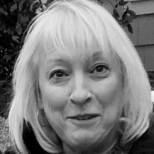 During the summer, Diane has taught university graduate courses in collaborative learning and multiple intelligences. iane believes in inspiring others to become critical thinkers, active learners, and engaged achievers. Her career has been, and continues to be, dedicated to the advancement of knowledge, character, and creativity through collaboration and inquiry. 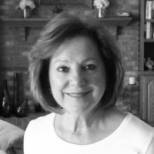 Ellen Mintz began her career as an elementary school teacher in Charleston County South Carolina. As a classroom teacher, she saw science as an authentic means of integrating reading and math content and skills. 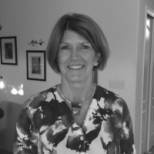 She later earned National Board Certification as a Middle Childhood Generalist, and has served as an instructional coach for 15 years, providing professional development focusing on literacy integration, effective science instruction, and effective formative and summative assessment strategies in K-8 classrooms. She holds a master’s degree in Curriculum Design, and has also facilitated the construction and implementation of curriculum maps to ensure that instruction addressed the standards and performance indicators needed to provide effective standards-based instruction for students. 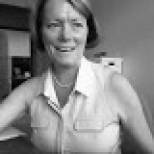 Ellen has spent 20 years as a curriculum consultant in schools across the country, supporting K-8 classroom teachers in implementing science notebooks, effective science pedagogy, authentic curriculum integration, and assessment strategies. Ellen is a frequent presenter for K-8 science conferences, and typically presents to a packed room! She is Activate Learning’s lead elementary school professional development facilitator, but Ellen is also well versed in providing professional development for Activate Learning’s middle school programs. Joy Reynolds serves as the Senior Curriculum Specialist at Activate Learning. Joy was most recently a module contributor/reviewer for the newly released IQWST Integrated Edition. As a veteran teacher of 27 years in Detroit Public Schools, Joy was an IQWST pilot teacher and taught all the original units. While still working with the district, she was Director of the Mathematic and Science Center for Detroit Public Schools through the Michigan Mathematics and Science Network. As an Instructional Specialist, Joy worked with high needs/high priority schools, working directly with teachers to enact best practices in teaching and learning, writing district-wide middle school curriculum, and providing 15+ years of teacher professional learning. She has been nominated multiple times for Teacher of the Year. Joy has served on many statewide initiatives including as Item Writer, Content and Bias Reviewer for MEAP assessments, and as an item writer for the M-STEP Science assessment under development in Michigan. As adjunct faculty at Wayne State University, Joy teaches preservice teachers in the areas of biology and physical science. Teaching science became a passion of Curtis Maine’s the day that he first faced students in his classroom in the mountains of North Carolina. 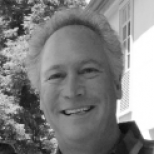 After a number of years in North Carolina and Vermont, where he was honored as Teacher of the Year in the high school in which he taught, Curtis began his graduate work at Michigan State University studying Science Education, and then spent the next 20 years teaching in California. There, Curtis developed science curriculum that engaged students by having them do science as if they were themselves scientists, and eventually integrating iPads into the work of classroom science. When he discovered Activate Learning’s middle school science curricula, the fit was perfect, thus upon retiring, Curtis joined the professional development team in order to support other middle school science teachers in implementing cutting edge, research-based curricula. During his career, Curtis taught both high school and middle school science, spending most of his years in middle school, serving as 8th grade Team Leader and Science Department Chair. He continues to be excited by the opportunity to share outstanding science curriculum with teachers around the country. Prior to being a school and district administrator, Mary was a reading specialist in both middle and elementary schools, and was a middle school ELA teacher. She developed expertise in IQWST as her district adopted the full middle school program while she was the Director of Middle School Curriculum. In that position, Mary oversaw the development and implementation of middle school curriculum in science, math, ELA, social studies, reading improvement, and world languages. She also facilitated professional development for teachers at seven middle schools in each of these areas, providing her with vast experience integrating best practices in all aspects of instruction and across content areas. Mary was also the Program Director of a Math and Science Partnership Program grant, providing professional development in math and science. She has also been a middle school principal and assistant principal, and has taught adult education, including classes in English as a Second Language. During her career, Mary has been nominated for several teaching honors: a Disney Teaching Award, two nominations for a Golden Apple Teaching Award, and she was awarded the Illinois State Board of Education’s Those Who Excel Award. Every science teacher understands the value of students being able to explain phenomena, not simply to define vocabulary words or to answer questions that require them to show what they have memorized. But teaching students to construct explanations is challenging. IQWST® makes the process easier by supporting teachers and students with a systematic approach that includes the now well-known CER framework. The framework divides explanations into three logical, manageable, and teachable components for middle school students: Claim, Evidence, and Reasoning. We developed the CER framework alongside teachers who were frustrated by their students’ responses to oral and written questions—typically responding in such brief ways that teachers could not adequately assess their students’ understanding. 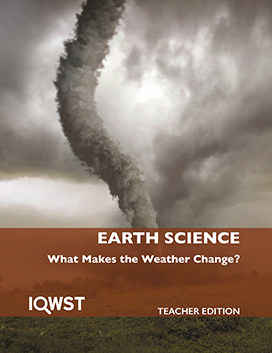 The CER framework was born and developed in IQWST as a result of teachers’ desire to better support their students as scientific thinkers and writers. To begin, students must be asked questions that require them to think deeply about what they have observed, read, and experienced and to integrate that information as they explain the how or why of phenomena for a specific purpose and audience. Although an explanation must function as a whole, teachers often find it easier to teach the components separately and explicitly. 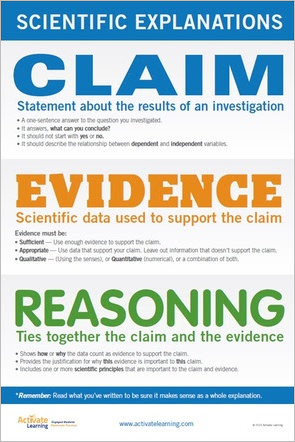 A claim is a statement of a student’s understanding about a phenomenon or about the results of an investigation; it answers the original question by expressing what he or she is trying to help an audience understand and believe. In practice, teachers often teach that a claim cannot begin with “yes" or “no," and is typically the first sentence of an explanation. Although a claim does not need to be the first sentence in an explanation, it is helpful for students to learn to construct explanations with specific guidelines that can be varied later. The claim is typically the part of an explanation that students find easiest to include and to identify as they critique others’ explanations. Claims may be made about data that students have been given or that they have gathered themselves. If an investigation has independent and dependent variables, the claim describes the relationship between them. The quality of an explanation is largely dependent on a good question to begin with, so consider first the question. After an investigation, have students return to that question, and their response, in a sentence, is typically a claim. While data can refer to all the observations that students have collected or analyzed, data become evidence when used to support a claim. A claim is convincing to someone else only when there is strong evidence to support it. The evidence for explanations can come from investigations students conduct, from observations they make, or from reports of empirical research others have done. In complex situations, more than one claim might be made about a single data set thus having accurate, appropriate, and sufficient evidence is what makes a claim convincing. 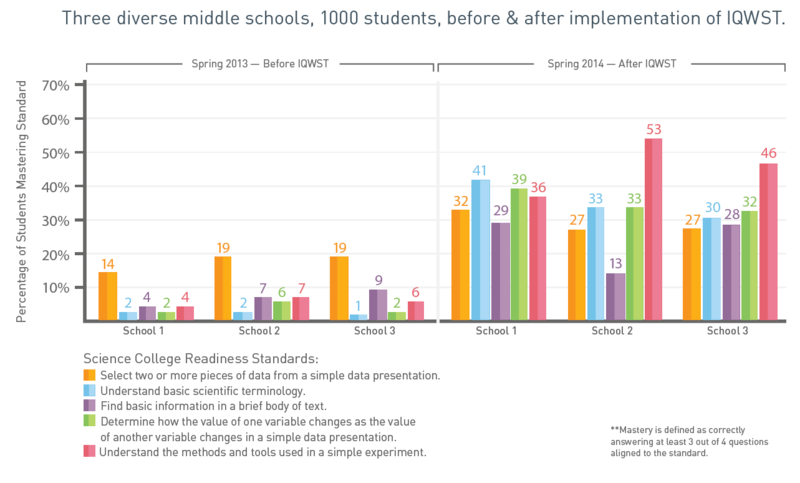 The idea that multiple claims might be made using the same data develops across the IQWST curriculum as the inquiry activities become more complex, and students’ options for research questions (and resulting claims and evidence) become increasingly open ended. One challenge of the evidence component is that students assume they do not need to describe the data because their teacher and classmates already know what happened! Thus, helping students to decide which data to choose and how to present those data as evidence is a key step in the process of learning to construct an explanation. Significant time must be devoted to helping students understand what counts as good evidence in science, drawn from qualitative and/or quantitative data, and what it means for evidence to be both appropriate and sufficient. Reasoning is the most challenging for both students and teachers. Reasoning illustrates why particular evidence is the correct evidence to use in support of a particular claim. Reasoning typically includes describing the scientific knowledge or theory, or what IQWST refers to as the Scientific Principle, that applies to a particular claim and evidence. The principles are not given to students, but are “figured out” through their own investigations and in the context of whole-class discussions. Reasoning requires students to make explicit the steps of their thinking, showing the logic that leads from the evidence to the claim. Critiquing examples of explanations helps students recognize the components and the need for them. They quickly learn to determine what is missing or inadequately expressed—and because they find this easier than constructing their own explanations, it is often a good starting point. Sharing an anonymous example from 3rd period with students from 1st period enables students to learn what to look for without feeling criticized early in the learning process. 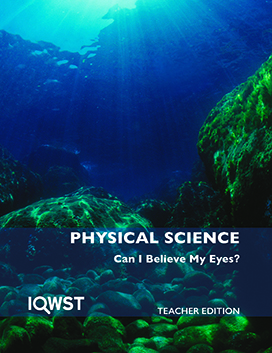 IQWST provides systematic scaffolding to guide students in constructing explanations of scientific phenomena, and to support teachers in facilitating this process. Using evidence and reasoning to construct explanations is one of the most important practices students can learn, with application beyond science class to high school, college, career, and citizenship readiness in all areas! *73% of students are at or above a proficient level. *27% are partially proficient at grade level. *After the unit 0% are below proficient at grade level. A score of (4 Advanced) would indicate that a student exceeds grade level standards by consistently demonstrating an advanced level of understanding and/or the ability to apply their knowledge at a higher level. 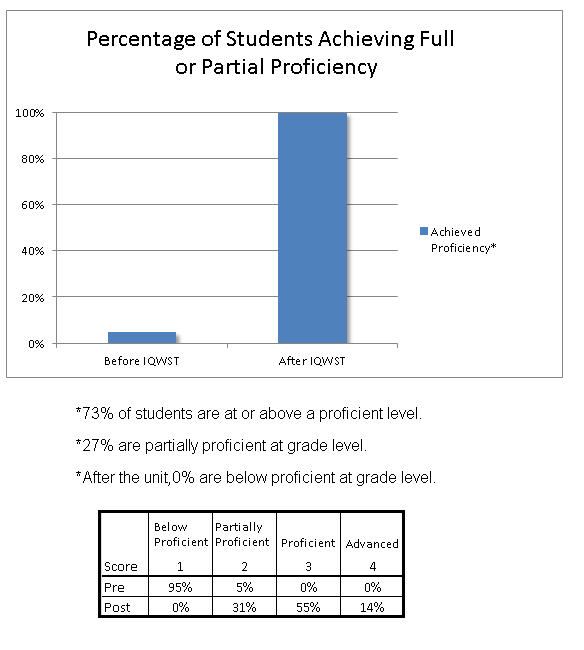 A score of (3 Proficient) would indicate that a student has independently achieved proficiency in the standards. The student demonstrates mastery of the standards. A score of (2 Partially Proficient) would indicate that a student is developing an understanding of a standards, butstill may be in need of additional instruction and/or support. A score of (1 Below Proficient ) would indicate minimal understanding of a standards. The student shows limited evidence of understanding the standards. IQWST® is used as an exemplar throughout the National Research Council's Developing Assessments for the Next Generation Science Standards (2014), which can be accessed online for free (citation below). National Research Council. (2014). Developing Assessments for the Next Generation Science Standards. Committee on Developing Assessments of Science Proficiency in K-12. Board on Testing and Assessment and Board on Science Education, J.W. Pellegrino, M.R. Wilson, J.A. Koenig, and A.S. Beatty, Editors. Division of Behavioral and Social Sciences and Education. Washington, DC: The National Academies Press. IQWST® is also used as an exemplar throughout Seeing Students Learn Science: Integrating Assessment and Instruction in the Classroom (2017), which can be accessed online for free (citation below). National Academies of Sciences, Engineering, and Medicine. 2017. Seeing Students Learn Science: Integrating Assessment and Instruction in the Classroom. Washington, DC: The National Academies Press. doi: 10.17226/23548. This document charts the alignment between IQWST® lessons and the Next Generation Science Standards’ (NGSS) performance expectations with which they most highly correlate. It is important to note that no single activity should be thought of as meeting an NGSS performance expectation (PE). Meeting a PE requires carefully sequenced activities, investigations, readings, discussions, and lessons that support students in building understanding of a disciplinary core idea, crosscutting concept, and the multiple scientific practices involved in “making sense” of complex ideas. In contrast to the old practice of checking off a standard as “met” because it was taught on a given day, new standards demand a very different approach. 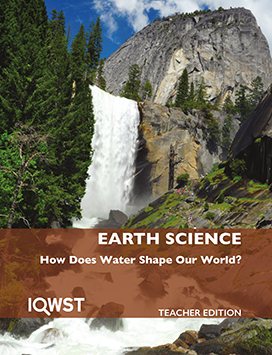 Click here to download the PDF full version of the IQWST NGSS Overview with descriptions. Click here to learn more about 3-Dimensional Learning. Activate Learning and Measured Progress are working together to add additional assessment support for your transition to Next Generation Science Standards (NGSS*). You can add STEM Gauge™ formative assessment resources to your current IQWST® implementation, and help students and teachers transition to a more NGSS-aligned approach to assessment. STEM Gauge is a formative assessment resource designed to support classroom instruction in the transition to the NGSS. It provides students with opportunities to demonstrate understanding of the 3 dimensions of learning as instruction occurs. 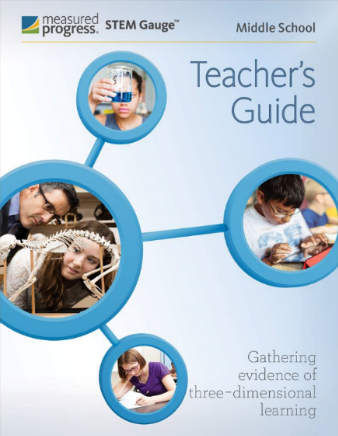 Includes ready to use content, built to the NGSS, and addresses the three dimensions in each Performance Expectation that supports teachers’ formative assessment activities and strategies. Distractor rationales for multiple-choice items so teachers get actionable data from students who chose the wrong answer. The distractor rationales help teachers address misconceptions and provide talking points for teachers to engage in the formative assessment feedback loop with students. 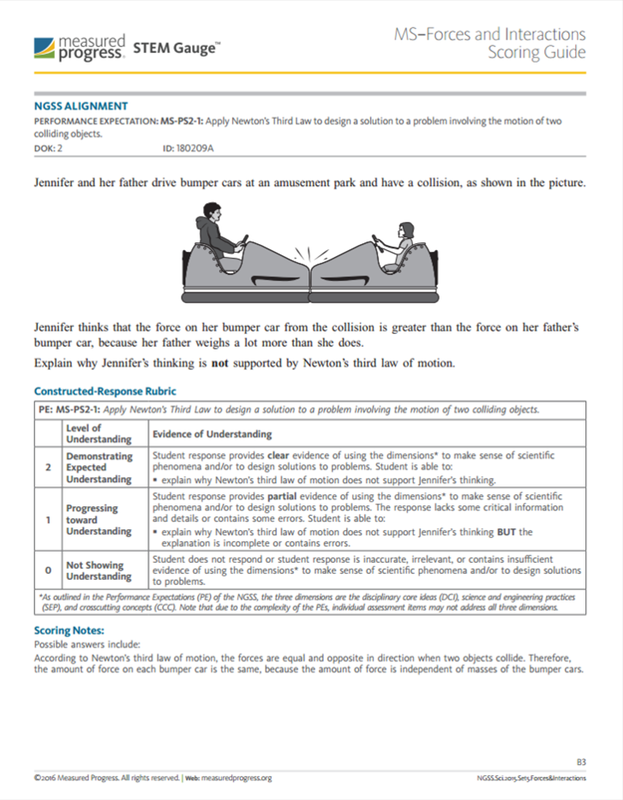 Rubrics for constructed-response and extended-response items are a part of that same rigorous development process. Authentic scenarios and data with appropriately permissioned texts and graphics. See how STEM Gauge formative assessment resources support the IQWST curriculum. Download a free STEM Gauge Topic Set by clicking the link below. Add STEM Gauge to your IQWST implementation today! Contact your Activate Learning representative to find out how. *Next Generation Science Standards (NGSS) is a registered trademark of Achieve. Neither Achieve nor the lead states and partner that developed the Next Generation Science Standards were involved in the production of this product, and do not endorse it.